Global Notes: Oct 12 Austria-Hungary: The Center of the Slavic World? Oct 12 Austria-Hungary: The Center of the Slavic World? 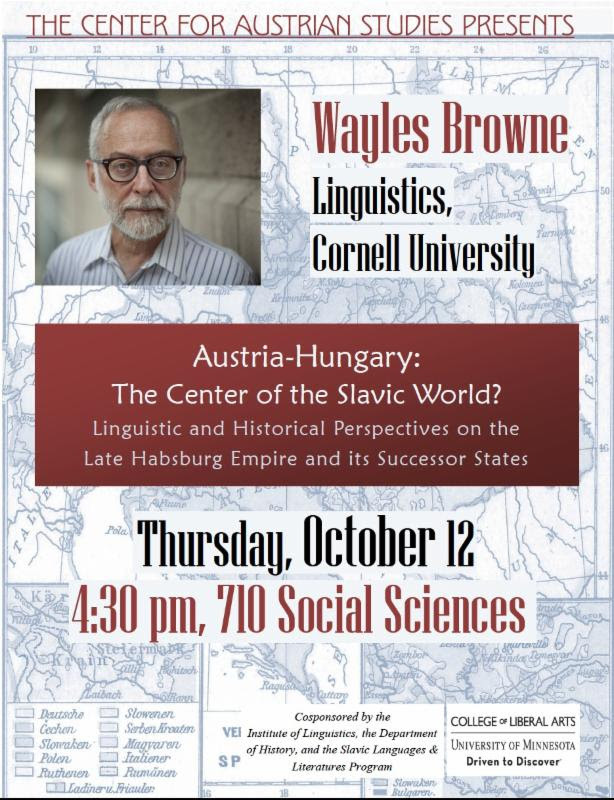 Presented by the Center for Austrian Studies, cosponsored by the Institute of Linguistics and the Department of History.